In 2012, the 70th Anniversary of the Bombing of Darwin was officially declared a National Day of Observance. As a newcomer to the Territory, I didn’t understand what it was to be sponsored by the Northern Territory Government. The day was celebrated in style: marquees were erected, plastic chairs hired, the Prime Minister arrived and the ‘highlight’ was the re-enactment complete with machine guns, aircraft and current service personnel dressed in period uniforms. Since then, commemoration has become a key industry in the Territory. Of course, this is a national phenomenon, but as with everything in the Territory, crocodiles included, we do it bigger and better. We did score an annex to the Military Museum called ‘The Defence of Darwin Experience’, which is really, really good. It is beautifully curated, slightly over-engineered but great history. It actually admits mistakes were made and Indigenous people poorly treated, and it provides an interactive experience that is appropriate and enjoyable for both school groups and grey nomads. We take our year 10s there; it is interesting that they prefer the older part of the museum (gun emplacements and old vehicles) and quite often say that, standing outside looking across the harbour, they start to empathise with the people on the ground that day. Our Anzac Day parades are replete with APCs, Tiger Helicopter flypasts and a detachment of US Marines who look very hot as they walk down Knuckey Street. The Dawn Service draws a crowd of about 12 000 people – or approximately 10 per cent of the town’s population. Long Tan anniversaries also draw a crowd; the Territory has a large Vietnam Veterans community living in the ‘rural area’. And of course there has been the plethora of Great War anniversary commemorations. However, my heart sank when in July this year a new tourist facility opened providing a virtual reality experience of the Bombing. It essentially turns the events of 19 February 1942 into a video game. Two events remind us, however, that it all comes at a cost. 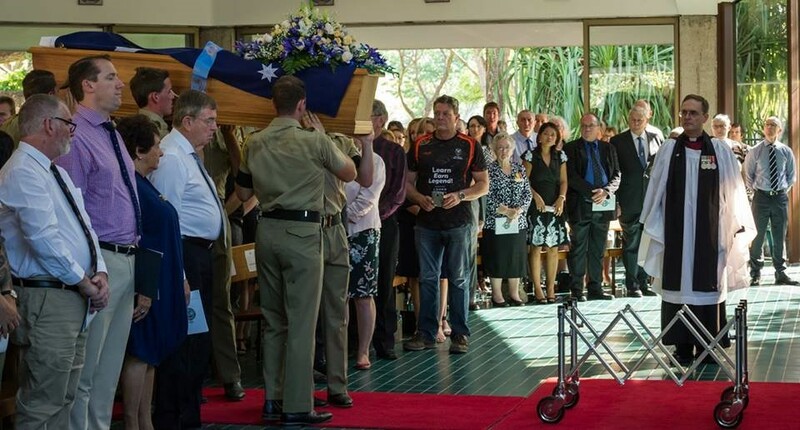 In July the Anglican Cathedral was packed to the rafters for the funeral of Corporal Reg Hillier, one of the Vietnam War soldiers repatriated from Malaysia (and the only Territorian killed in the Vietnam conflict). Despite the number of politicians of all brands, Anzackery was noticeably absent. Brigadier Ben James spoke of sacrifice, the family spoke of their memories of a young man who, until this year, didn’t come back. And, shortly, members of the 1st Brigade, which is based at Robertson Barracks here in Darwin, will deploy overseas, as yet again we send young men and women into harm’s way. 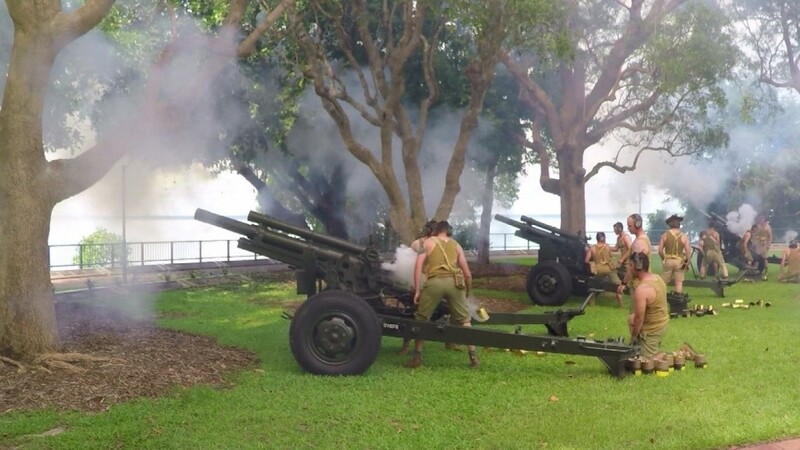 Earlier this year, the Territory Government announced a year-long program of events entitled The Territory Remembers and culminating in the 75th Anniversary of the Bombing. As 2016 draws to a close, the Anniversary’s momentum gathers pace. 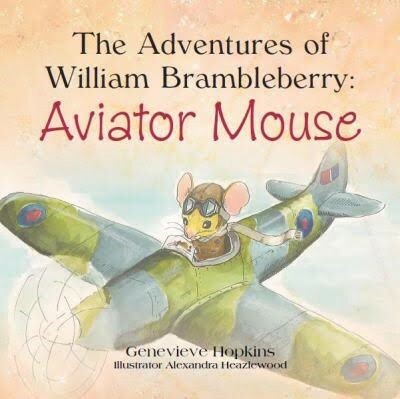 There are commemorative number plates, a brand, and an educational program for primary schoolers, featuring William Brambleberry Mouse, who apparently flew a Spitfire defending the Top End. (‘No matter how small you feel or how big your dreams are, with determination and practice your dreams can come true!’) Buses are plastered with the ‘Territory Remembers’ logo, and the TV ads are reaching a saturation cycle. And I guess the marquee hire and plastic chairs companies are getting ready for a bumper February. * John Shield is a Darwin school teacher. Some earlier takes on remembrance in the Top End. Among other things, the post provides some comparative statistics of lives lost in the Darwin bombings and other notable bombings.